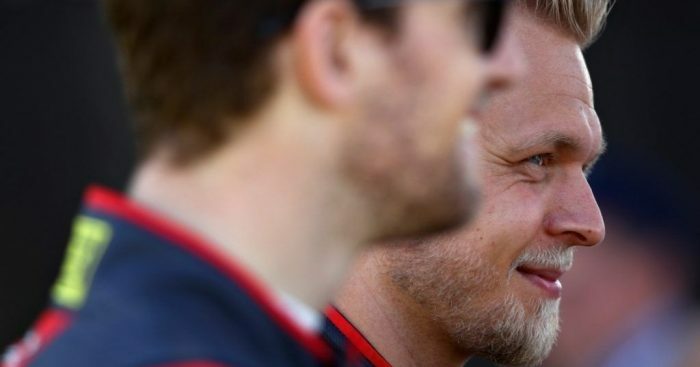 Romain Grosjean and Kevin Magnussen may struggle when they’re not the faster of the Haas drivers, however, team boss Guenther Steiner has urged them not to see it as a bad thing. Last season both drivers went through a tough time at different stages of the campaign. While Grosjean had a wretched start, crashing more often than he scored, Magnussen earned the ire of many of his rivals with his robust driving. However, having the two on board works for Haas as evident by the team’s fifth place in last year’s championship. They push one another to be the best, however, Steiner has urged them to at times look at the bigger picture. “It’s something going on up in their heads,” he said of his drivers to BT newspaper. “None of them are good at not being the fastest man in the team. “Romain and Kevin have to keep pushing each other. “They also just have to learn that it is okay to be the second fastest in the team. “It is not a disaster if you are not the team’s fastest runner every weekend. Drivers’ standings aside, the prize money is in the Constructors’ Championship and this year Haas want that ‘best of the rest’ tag. “The goal for 2019 must be to get fourth place in the Constructors’ Championship,” he said. “The numbers I get from our engineers are promising, but I don’t know what the others are coming with.